Let me start by getting a few important points out of the way, so it is clear what I’m saying. Yes, as Ari Berman has argued, the story of these suppressive efforts have been underreported by the popular press. There were some excellent reporters on this beat this year (including Ari, Pam Fessler, Michael Wines, Sari Horwitz, Tierney Sneed, and Zack Roth), but it did not get reported enough, especially on television (Rachel Maddow and Joy Reid discussed it, but it was barely a blip elsewhere). More importantly, even in states that had eased their voting and registration rules in recent years, such as Minnesota, Democratic turnout was way down. This is key: Hilllary Clinton is down millions of Democrats’ votes (right now about 7 million votes) compared to Obama in 2012. 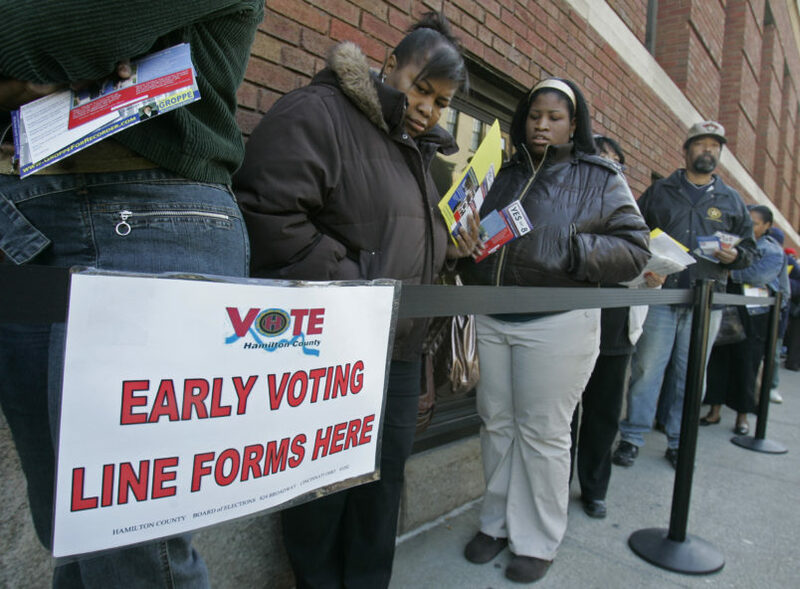 People stayed home for reasons unrelated to voter suppression. In Wisconsin, Clinton got 15 percent fewer votes than Obama. Trump did slightly worse than Romney — in a state that was home to Romney’s running mate. Of these states, only Wisconsin had stricter voting laws this election. So there’s something going on here besides changes in voting rules. Now some can blame the Comey email motivating Republicans to “return home,” Russian/wikileaks stolen Podesta emails, the treatment of Sanders’ voters by Clinton, or Clinton’s ties to big donors and lack of a plan to reach out to rural white voters or give a message that would have resonated more with the Democratic base. It is an important debate to have, and I don’t have answers to what the main problems are. But this is the debate that needs to be had. Democrats now face two structural disadvantages in running for president going forward. First, they need to overcome the electoral college, which helps Republicans (thanks to smaller states leaning red). Once again, we will have a Democratic candidate getting more popular votes than the Republican. I suspect we would see the same results (but we don’t know) if both candidates ran for the popular vote. Second, going forward we can expect more laws making it harder to register and vote in battleground states controlled by Republicans, and a Supreme Court likely to continue to give the green light. That makes things tougher. But there’s something more fundamental at play here. Blaming voter suppression in this election will be just as effective as the increasing calls on social media for Republican electors to not vote for Donald Trump when the electoral college votes. It’s not going to help, and ignores the larger problems facing the party and the nation that the party, and those on the left, need to face.